Chemical weapons deployed by Indonesian military. West Papuan leader, Benny Wenda, today handed in a petition to the UN calling for self-determination for West Papua signed by 1.8 million West Papuans. The UN High Commissioner for Human Rights, Michelle Bachelet, received the petition in a meeting amidst growing international concern over chemical weapons use during Indonesia’s latest round of military and police operations in the occupied territory. The West Papuan People’s Petition to the United Nations, signed by around 70% of the West Papuan population across several months in 2017, resulted in the arrest and imprisonment of key Papuan activists. 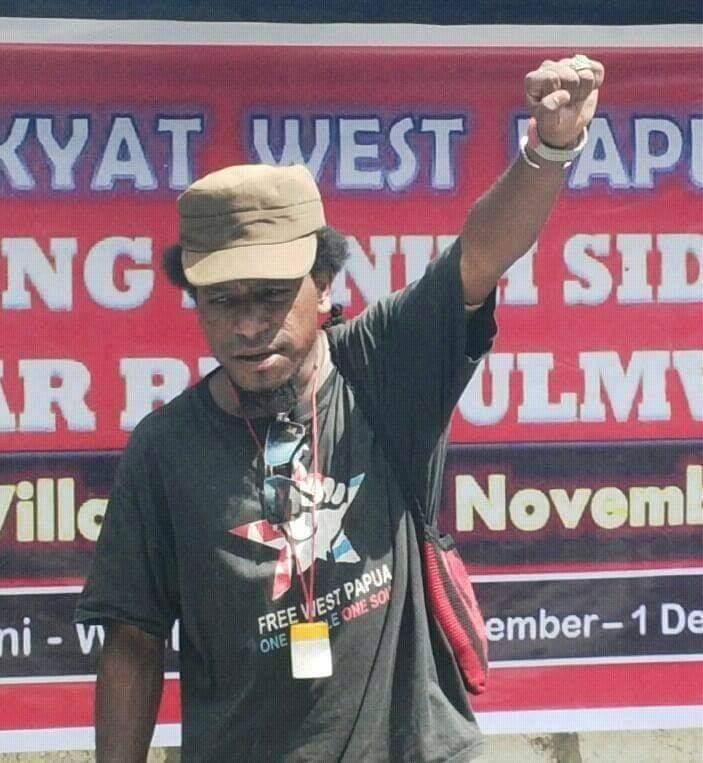 Yanto Awerkion, a local leader of the West Papua National Committee (KNPB), was held in jail for eight months without trial for supporting the petition. Benny Wenda, Chairman of the United Liberation Movement for West Papua (ULMWP), described the meeting as ‘great moment of victory’ for the West Papuan self-determination struggle. Since the petition was completed in 2017, Indonesian state repression of the West Papuans has continued to grow. New heights were reached in December 2018 when, following clashes over the construction of the huge Trans-Papua Highway, Indonesia launched a new military and police offensive in the Nduga Regency, using chemical weapons against Papuan civilians. According to the United Liberation Movement for West Papua, over 20,000 Papuans have been affected by the operations, and a dozen Papuans have died already, including three children. The International Lawyers for West Papua has stated: ‘Indonesia has been historically associated with the use of explosive and chemical weapons, specifically in West Papua […] the Indonesian military is not only capable of possessing chemical weapons, but it is also prone to use them against civilians residing in remote areas’. Figure 1: Wene Bahabol, ULMWP Political Bureau, 23. In police detention in Sentani. Since then, well over 100,000 and perhaps over 500,000 Papuans have died.3 Torture is a ‘mode of governance’ in territory and mass arrests a common occurrence.4 In 2016, Geneva for Human Rights initiated an Early Warning Appeal to the Committee on the Elimination of Racial Discrimination due to a ‘threat to the Papuan peoples’ existence and survival as a culture and ethnic entity’. West Papuans are Melanesian, culturally, ethnically and linguistically distinct from the rest of the Indonesian archipelago, and harbour a deeply-held desire to become an independent nation-state. In 2014, the West Papuan representative groups unified under the United Liberation Movement for West Papua (ULMWP). In 2017, Benny Wenda was made Chairman of the ULMWP. 2Saltford, J. (2003), The United Nations and the Indonesian Takeover of West Papua, 1962-1969: The anatomy of betrayal, RoutledgeCurzon: Oxon. 3See Anderson, K. (2015), ‘Colonialism and Cold Genocide: The Case of West Papua’, Genocide Studies and Prevention: An International Journal, 9(2), p.14; Elmslie, J. (2007), West Papua: Paths to Justice and Prosperity, University of Sydney: Sydney; http://www.aljazeera.com/indepth/opinion/2012/03/201232172539145809.html. 4Hernawan, B. (2015), ‘Torture as a Mode of Governance: Reflections on the Phenomenon of Torture in Papua, Indonesia’, in (eds.) Slama, M. & Munro, J., From ‘Stone-Age’ to ‘Real-Time’: Exploring Papuan Temporalities, Mobilities and Religiosities, ANU Press: Canberra, p.197, 201-2; International Coalition for Papua (2017), Human Rights in West Papua 2017, Wuppertal: ICP. 1 The five activists are: I) Allen Halitopo, ii) Yanto Awerkion, iii) Wene Bahabol, iv) Messi Bahabol and v) Risal Simbu.